The Gilded Wolves is, at its heart, a treasure hunt with a unique ensemble cast. Severin is determined to win back the inheritance robbed of him when his father died. When everything he wants is offered to him, all he must do in return is steal a heavily protected magical artifact. Luckily, his friends are around to help. There’s Laila, a dancer with a mystery of her own to solve, Zofia, an engineer who understands science better than people, Enrique, a historian who always has a joke at the ready, and Tristan, a botanist with an adorable pet tarantula. Roshani Chokshi shines a light on all that makes Paris in 1889 great, and the darkness lurks in the corners. Let’s be real, it wasn’t a great time for a lot of people (aka everyone but white men) and Chokshi makes a point to highlight all of its flaws. This book also has a lot of fantasy aspects, with the Order of Babel, a powerful organization that practically rules society, and Forging, an ability that allows the wielder control of either mind or a specific matter (liquid, solid, or gas). There are so many unique Forged creations in this book that were absolutely fascinating, from hidden weapons to elaborate traps to protect secret treasures. So I loved Roshani Chokshi’s writing style in The Star-Touched Queen and Crown of Wishes, with its flowing prose with gorgeous metaphors, but I think she truly mastered it in The Gilded Wolves. The metaphors were never too heavy and confusing and only added to the already great story. It could be a little dense at times, with a lot of mythology, puzzles, and history, but the witty banter and entertaining dialogue was perfect in breaking up the exposition and puzzles. The Gilded Wolves is basically Six of Crows meets National Treasure and Raiders of the Lost Ark. Due to how dense it is, it can be a little hard to jump in to, but it never really is slow. From the first chapter, you’re thrown into the action and mystery of these character’s lives. There are constant heists, adventures, and puzzles to be solved, with not a single dull moment. There is more action than you could possibly imagine in a book just under 400 pages. What really makes this book unique are the main characters. While every character is well developed and interesting, the main six are what will make you fall in love with this book. Roshani Chokshi created such fantastic characters, with great representation too (which I explained below)! Tristan – Tristan is Severin’s brother in all but blood. They were raised together by six different foster fathers (all horrible in their own way) and came out of it determined to protect each other no matter the cost. Tristan is kinda the baby of the group, beloved by everyone and an absolute sweetheart, even if he doesn’t understand why no one wants his Tarantula, Goliath, in the room with them. 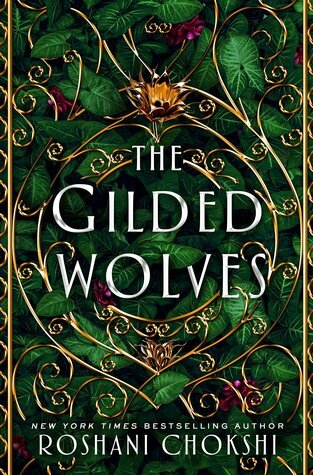 The Gilded Wolves is an epic heist novel with constant twists and turns, and a cast of characters that will sear themselves into your heart.